UK: 25% of Tories’ new women MPs could stand down in 2015. Fathers to share parental leave from 2015. Women MPs must man up. A quarter of the Tories’ new women MPs could stand down in 2015 Conservative Home Laura Sandys will not be the last of the Tory women elected to the Commons in 2010 who steps down after serving only one term. A woman who knows many of these MPs well reckons another five or six could well decide to call it a day in 2015. Women MPs must man up. 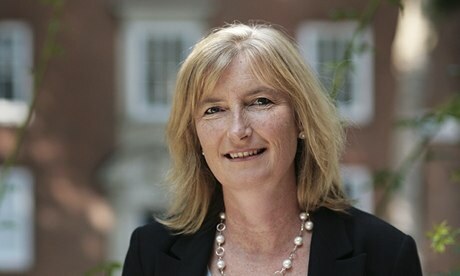 We need more battleaxes, fewer … The Guardian As yet another female Tory MP announces she is to stand down, the soul-searching has begun about why women still find life in the Commons so unbearable. Laura Sandys says she is leaving politics because of “family demands”. But the impression given is she is part of a growing exodus of recently elected women; “rising stars” forced out tragically early by the macho posturing in parliament. Parental leave rights published ITV News … children to share leave equally have been published by the Government, with Deputy Prime Minister Nick Clegg saying the new rules will help women. British couples to get increased paternity leave rights GlobalPost Britain announced Friday final details of a plan enabling couples to share parental leave after the birth of their child in a bid to help working mothers and give fathers more time with their children. Deputy Prime Minister Nick Clegg said the proposals “challenge the old-fashioned assumption” that women should always be the parent that stays at home. Working couples will be able to share any remaining leave and pay they have after the two-week recovery period mothers must take off after birth, according to details of the scheme published by the government. At the moment, new mothers can take a maximum of 52 weeks off while fathers are entitled to two weeks of statutory paternity leave. Fathers will be able to share parental leave from 2015 MadeForMums (blog) The Liberal Democrats outlined the proposals last year, as a way to helpwomen return to work and allow men to have more involvement with their babies. Previous postUK: Labour Party calls UKIP MEP comments ‘“catalogue of UKIP misogyny”. US: NRSC targets female voters with Black Friday hit . Next postWomen hold more than 65% of UAE gov jobs. Fight for gender equality is not that of women alone.